DreamWallets (DW) is a first of its kind online collaboration platform that focuses on the concept of Crowd Funding - an age old concept of raising funds from large number of supporters who feel for a cause or an idea and Crowd Sourcing - people coming and working together to help turn dreams into reality. DW offers you an online collaboration platform for raising funds for ideas from a community of people who share your dreams and passion. In return, backers gets rewarded in non-monetary ways with rewards that, otherwise, money can't buy. We, at DW, have added dimensions of accountability, transparency, and novelty around the concept. Driven by a team of management professionals with a strong academic pedigree (MBA, CA, CFA, FRM etc.) and about a decade of experience each in various sectors like Banking, Investment Banking, Asset Management, Education, Training and Development etc. Nikhil manages Product and Finance at DW. His belief in the future of crowd funding in India made him quit his Investment banking career and start a new life journey co-founding "DreamWallets". 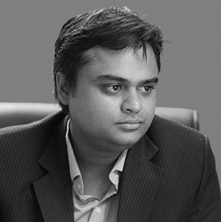 He is a qualified Chartered Accountant, an MBA from NMIMS, Mumbai, FRM from GARP and CFA from CFA Institute, USA. He also sits on the apex board of Madhya Pradesh state environment ministry. He has worked with J.P Morgan, SMC Capitalson M&A and Private Equity fund raising. Sumiti manages the Social and Art & Craft category at DW. She has more than 10 years of experience in HR and CSR deptt and has worked with Hindustan Times, Bridge School, Mahindra & Mahindra and American Express. She has worked across various industry verticals such as higher education, digital space, solar energy, logistics, private equity, etc. Through her own start- up, Samvid, she provided direct market access to many artisans from the villages of India. Sumiti is an MBA from NMIMS, Mumbai. Tusharika is a media graduate from Sophia College, Mumbai. She has substantial work experience in the technology, events and entertainment industries. She previously had been working with groffr.com, a crowdsourcing platform for realestate. An eternal optimist, she is a firm believer in the power of crowdsourcing. She is an expert in conceptualizing and strategizing around creative ideas. Always a finisher, Tusharika works closely with project owners and helps them make their projects more appealing.